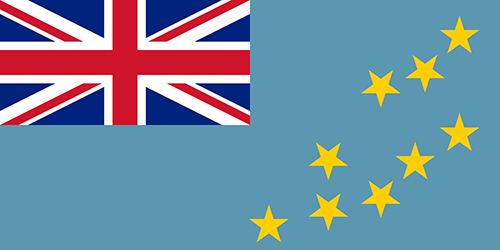 Tuvalu is a sovereign nation in the South Pacific Ocean, north-east of New Zealand, roughly halfway between Australia and Hawaii. It is one of the few sovereign nations in the world which are not members of FIFA. The country is made up of nine islands with a total surface area of around 10 square miles, and has a population of just over 10,000 people who all (quite sensibly) drive on the left side of the road. Tuvalu joined the Oceanian Football Confederation in 2008, but has yet to gain FIFA membership. Their biggest obstacle is the lack of footballing infrastructure in the country. There is only one sports ground, located on the biggest island – the somewhat appropriately named Funafuti – but this does not had a FIFA approved pitch. They have no training facilities and there are no hotels on the island to host visiting teams. They are in something of a footballing Catch-22. If they were members of FIFA, they could get support to help them develop the infrastructure they need – but they can’t join FIFA because their infrastructure isn’t good enough! Football is among the most popular sports in Tuvalu. The Tuvaluan A-League, the country’s top tier of men’s football, has teams representing eight of the nine islands that make up the archipelago. There is also a B-League comprising of five reserve sides, meaning that even if the teams had no substitutes, at least 1.5% of the population are involved in the league. All league games take place in the Tuvalu Sports Ground, built on the broadest part of the main island. As the country is comprised of atolls, most of which are very thin (often under 20 metres across), there are very few other places where it would even be possible to put a football pitch. The pitch was originally built on a coral base, which is not very suitable for football and can not grow grass. More recently, clay has been shipped in from Fiji which can support grass, but the pitch is still not great and not even totally flat. Despite not being FIFA members, Tuvalu made history in 2007 by becoming the first non-FIFA country to compete in World Cup Qualifying. They played in the 2007 South Pacific Games, which doubled as a qualification tournament for the 2008 OFC Nations Cup, which in turn doubled as a qualification tournament for the 2010 FIFA World Cup. Had they qualified, they would not have been eligible to play in the World Cup, though I’d imagine there would have been an outcry from all lovers of a good underdog story, and lots of strongly worded letters sent back and forth. Luckily for FIFA, a potential red-tape minefield was avoided as Tuvalu only took one point from their four games – a 1-1 draw with Tahiti, scoring 2 and conceding 22 goals in the process. They have been playing football sporadically since 1979, when they first entered the South Pacific Games and came a respectable 8th of 12 teams. They didn’t play again until 2003 when they lost a friendly 9-0 in Fiji prior to entering the 2003 South Pacific Games (finishing 8th of 10 teams), the 2007 South Pacific Games (9th of 10 teams) and the 2011 Pacific Games (7th of 11 teams). Just last year they played in the 2017 Pacific Mini-Games, finishing 4th of 6 teams. All of the games played at the pacific games have taken place in the host country, and they have only ever played two friendlies – both away from home. The Tuvalu National football team has never played a game at the Tuvalu Sports Ground. Tuvalu have played 25 games in their history, and their results show that they can at least keep pace with their local rivals. They currently sit at 214th in the unofficial world football ELO rankings, just above the US Virgin Islands and a full 6 places above Sri Lanka. They were drafted into the 2018 ConIFA Football World Cup at late notice after Kiribati withdrew their participation citing a lack of funds. They’ll go to the ConIFA World Cup perhaps not expecting to win the competition, but hoping to raise awareness prior to an upcoming attempt to join FIFA again. 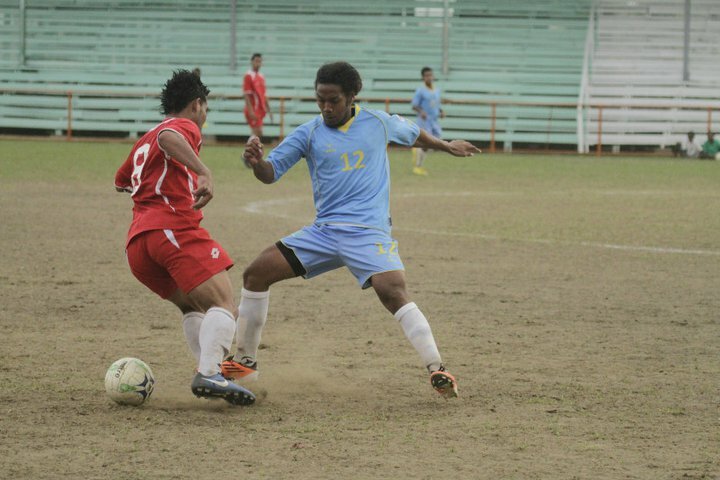 Alopua Petoa, Born in Nauru but nationalised as a Tuvalu citizen, is Tuvalu’s all-time top scorer, scoring 8 goals in his international career so far, including two hat tricks in a week at the 2011 Pacific Games at the tender age of 21. He did it again in 2017, scoring the winner in a stunning 2-1 win over New Caledonia, and followed it up with a 90th minute equaliser en route to Tuvalu’s late 4-3 win over Tonga.